"Masonic" and "Freemason" redirect here. For the ghost town, see Masonic, California. For other uses, see Freemason (disambiguation). "Freemasons" redirects here. For the house music producers, see Freemasons (band). The bulk of Masonic ritual consists of degree ceremonies. Candidates for Freemasonry are progressively initiated into Freemasonry, first in the degree of Entered Apprentice. Some time later, in a separate ceremony, they will be passed to the degree of Fellowcraft, and finally they will be raised to the degree of Master Mason. In all of these ceremonies, the candidate is entrusted with passwords, signs and grips (secret handshakes) peculiar to his new rank. Another ceremony is the annual installation of the Master and officers of the Lodge. In some jurisdictions Installed Master is valued as a separate rank, with its own secrets to distinguish its members. In other jurisdictions, the grade is not recognised, and no inner ceremony conveys new secrets during the installation of a new Master of the Lodge. Most Lodges have some sort of social calendar, allowing Masons and their partners to meet in a less ritualised environment. Often coupled with these events is the obligation placed on every Mason to contribute to charity. This occurs at both Lodge and Grand Lodge level. Masonic charities contribute to many fields, such as education or disaster relief. These private local Lodges form the backbone of Freemasonry, and a Freemason will necessarily have been initiated into one of these. There also exist specialist Lodges where Masons meet to celebrate events, such as sport or Masonic research. The rank of Master Mason also entitles a Freemason to explore Masonry further through other degrees, administered separately from the Craft, or "Blue Lodge" degrees described here, but having a similar format to their meetings. Additionally, most Grand Lodges require the candidate to declare a belief in a Supreme Being. In a few cases, the candidate may be required to be of a specific religion. 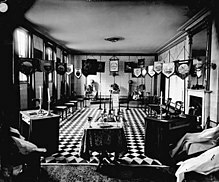 The form of Freemasonry most common in Scandinavia (known as the Swedish Rite), for example, accepts only Christians. At the other end of the spectrum, "Liberal" or Continental Freemasonry, exemplified by the Grand Orient de France, does not require a declaration of belief in any deity, and accepts atheists (a cause of discord with the rest of Freemasonry). Relations between Grand Lodges are determined by the concept of Recognition. Each Grand Lodge maintains a list of other Grand Lodges that it recognises. When two Grand Lodges recognise and are in Masonic communication with each other, they are said to be in amity, and the brethren of each may visit each other's Lodges and interact Masonically. When two Grand Lodges are not in amity, inter-visitation is not allowed. There are many reasons one Grand Lodge will withhold or withdraw recognition from another, but the two most common are Exclusive Jurisdiction and Regularity. Exclusive Jurisdiction is a concept whereby only one Grand Lodge will be recognised in any geographical area. If two Grand Lodges claim jurisdiction over the same area, the other Grand Lodges will have to choose between them, and they may not all decide to recognise the same one. (In 1849, for example, the Grand Lodge of New York split into two rival factions, each claiming to be the legitimate Grand Lodge. Other Grand Lodges had to choose between them until the schism was healed.) Exclusive Jurisdiction can be waived when the two overlapping Grand Lodges are themselves in Amity and agree to share jurisdiction (for example, since the Grand Lodge of Connecticut is in Amity with the Prince Hall Grand Lodge of Connecticut, the principle of Exclusive Jurisdiction does not apply, and other Grand Lodges may recognise both). The Ancient and Accepted Scottish Rite is a system of 33 degrees (including the three Blue Lodge degrees) administered by a local or national Supreme Council. This system is popular in North America and in Continental Europe. The York Rite, with a similar range, administers three orders of Masonry, namely the Royal Arch, Cryptic Masonry, and Knights Templar. In the Nordic countries, the Swedish Rite is dominant; a variation of it is also used in parts of Germany. All Freemasons begin their journey in the "craft" by being progressively "initiated", "passed" and "raised" into the three degrees of Craft, or Blue Lodge Masonry. During these three rituals, the candidate is progressively taught the meanings of the Lodge symbols, and entrusted with grips, signs and words to signify to other Masons that he has been so initiated. The initiations are part allegory and part lecture, and revolve around the construction of the Temple of Solomon, and the artistry and death of his chief architect, Hiram Abiff. The degrees are those of "Entered apprentice", "Fellowcraft" and "Master Mason". While many different versions of these rituals exist, with at least two different lodge layouts and versions of the Hiram myth, each version is recognisable to any Freemason from any jurisdiction. In some jurisdictions, the main themes of each degree are illustrated by tracing boards. These painted depictions of Masonic themes are exhibited in the lodge according to which degree is being worked, and are explained to the candidate to illustrate the legend and symbolism of each degree. The idea of Masonic brotherhood probably descends from a 16th-century legal definition of a "brother" as one who has taken an oath of mutual support to another. Accordingly, Masons swear at each degree to keep the contents of that degree secret, and to support and protect their brethren unless they have broken the law. In most Lodges the oath or obligation is taken on a Volume of Sacred Law, whichever book of divine revelation is appropriate to the religious beliefs of the individual brother (usually the Bible in the Anglo-American tradition). In Progressive continental Freemasonry, books other than scripture are permissible, a cause of rupture between Grand Lodges. Since the middle of the 19th century, Masonic historians have sought the origins of the movement in a series of similar documents known as the Old Charges, dating from the Regius Poem in about 1425 to the beginning of the 18th century. Alluding to the membership of a lodge of operative masons, they relate it to a mythologised history of the craft, the duties of its grades, and the manner in which oaths of fidelity are to be taken on joining. The 15th century also sees the first evidence of ceremonial regalia. There is no clear mechanism by which these local trade organisations became today's Masonic Lodges. The earliest rituals and passwords known, from operative lodges around the turn of the 17th–18th centuries, show continuity with the rituals developed in the later 18th century by accepted or speculative Masons, as those members who did not practice the physical craft gradually came to be known. The minutes of the Lodge of Edinburgh (Mary's Chapel) No. 1 in Scotland show a continuity from an operative lodge in 1598 to a modern speculative Lodge. It is reputed to be the oldest Masonic Lodge in the world. Alternatively, Thomas De Quincey in his work titled; Rosicrucians and Freemasonry, put forward the theory which suggested that Freemasonry was possibly an outgrowth of Rosicrucianism. The theory had also been postulated in 1803 by German professor; J. G. Buhle. 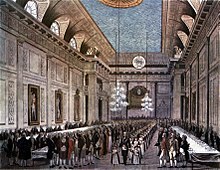 The first Grand Lodge, the Grand Lodge of London and Westminster (later called the Grand Lodge of England (GLE)), was founded on St John's Day, 24 June 1717, when four existing London Lodges met for a joint dinner. Many English Lodges joined the new regulatory body, which itself entered a period of self-publicity and expansion. However, many Lodges could not endorse changes which some Lodges of the GLE made to the ritual (they came to be known as the Moderns), and a few of these formed a rival Grand Lodge on 17 July 1751, which they called the "Antient Grand Lodge of England." These two Grand Lodges vied for supremacy until the Moderns promised to return to the ancient ritual. They united on 27 December 1813 to form the United Grand Lodge of England (UGLE). The earliest known American lodges were in Pennsylvania. The Collector for the port of Pennsylvania, John Moore, wrote of attending lodges there in 1715, two years before the formation of the first Grand Lodge in London. The Premier Grand Lodge of England appointed a Provincial Grand Master for North America in 1731, based in Pennsylvania. 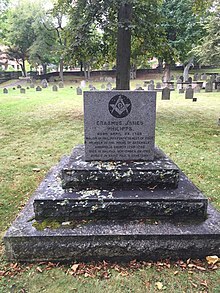 In present-day Canada, Erasmus James Philipps became a Freemason while working on a commission to resolve boundaries in New England and, in 1739, became provincial grand master for Nova Scotia; Philipps founded the first Masonic lodge in Canada at Annapolis Royal, Nova Scotia. Other lodges in the colony of Pennsylvania obtained authorisations from the later Antient Grand Lodge of England, the Grand Lodge of Scotland, and the Grand Lodge of Ireland, which was particularly well represented in the travelling lodges of the British Army. Many lodges came into existence with no warrant from any Grand Lodge, applying and paying for their authorisation only after they were confident of their own survival. After the American Revolution, independent U.S. Grand Lodges developed within each state. Some thought was briefly given to organising an overarching "Grand Lodge of the United States," with George Washington (who was a member of a Virginian lodge) as the first Grand Master, but the idea was short-lived. The various state Grand Lodges did not wish to diminish their own authority by agreeing to such a body. Jamaica served as an arms depot for the revolutionary forces when two Kingston Freemasons, Wellwood and Maxwell Hyslop, financed the campaigns of SimÛn BolÌvar, the Liberator, to whom six Latin American Republics owe their independence". BolÌvar himself was a Mason, enjoying contacts with Brethren in Spain, England, France, and Venezuela until after gaining power in Venezuela, he prohibited all secret societies in 1828 and included the Freemasons. On 25 May 2017, Masons around the world celebrated the 300th anniversary of the fraternity. Jamaica hosted one of the regional gatherings for this celebration. Prince Hall Freemasonry exists because of the refusal of early American lodges to admit African Americans. In 1775, an African American named Prince Hall, along with 14 other African-American men, was initiated into a British military lodge with a warrant from the Grand Lodge of Ireland, having failed to obtain admission from the other lodges in Boston. 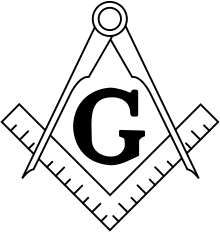 When the British military Lodge left North America after the end of the Revolution, those 15 men were given the authority to meet as a Lodge, but not to initiate Masons. In 1784, these individuals obtained a Warrant from the Premier Grand Lodge of England (GLE) and formed African Lodge, Number 459. When the UGLE was formed in 1813, all U.S.-based Lodges were stricken from their rolls – due largely to the War of 1812. Thus, separated from both UGLE and any concordantly recognised U.S. Grand Lodge, African Lodge retitled itself as the African Lodge, Number 1 – and became a de facto Grand Lodge. (This lodge is not to be confused with the various Grand Lodges in Africa.) As with the rest of U.S. Freemasonry, Prince Hall Freemasonry soon grew and organised on a Grand Lodge system for each state. Widespread racial segregation in 19th- and early 20th-century North America made it difficult for African Americans to join Lodges outside of Prince Hall jurisdictions – and impossible for inter-jurisdiction recognition between the parallel U.S. Masonic authorities. By the 1980s, such discrimination was a thing of the past. Today most U.S. Grand Lodges recognise their Prince Hall counterparts, and the authorities of both traditions are working towards full recognition. The United Grand Lodge of England has no problem with recognising Prince Hall Grand Lodges. While celebrating their heritage as lodges of black Americans, Prince Hall is open to all men regardless of race or religion. English Freemasonry spread to France in the 1720s, first as lodges of expatriates and exiled Jacobites, and then as distinctively French lodges which still follow the ritual of the Moderns. From France and England, Freemasonry spread to most of Continental Europe during the course of the 18th century. The Grande Loge de France formed under the Grand Mastership of the Duke of Clermont, who exercised only nominal authority. His successor, the Duke of Orléans, reconstituted the central body as the Grand Orient de France in 1773. Briefly eclipsed during the French Revolution, French Freemasonry continued to grow in the next century, at first under the leadership of Alexandre Francois Auguste de Grasse, Comte de Grassy-Tilly. A career Army officer, he had lived with his family in Charleston, South Carolina from 1793 to the early 1800s, after leaving Saint-Domingue (now Haiti) during the years of the Haitian Revolution. The ritual form on which the Grand Orient of France was based was abolished in England in the events leading to the formation of the United Grand Lodge of England in 1813. However the two jurisdictions continued in amity (mutual recognition) until events of the 1860s and 1870s drove a seemingly permanent wedge between them. In 1868 the Supreme Council of the Ancient and Accepted Scottish Rite of the State of Louisiana appeared in the jurisdiction of the Grand Lodge of Louisiana, recognised by the Grand Orient de France, but regarded by the older body as an invasion of their jurisdiction. The new Scottish Rite body admitted blacks. 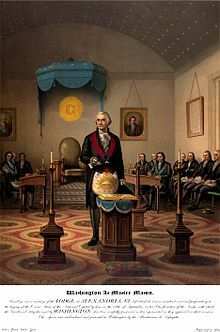 The resolution of the Grand Orient the following year that neither colour, race, nor religion could disqualify a man from Masonry prompted the Grand Lodge to withdraw recognition, and it persuaded other American Grand Lodges to do the same. 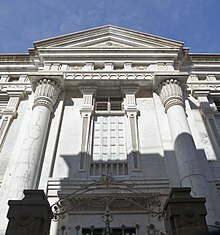 In the early 20th century Freemasonry was an influential semi-secret force in Italian politics with a strong presence among professionals and the middle class across Italy, as well as among the leadership of the parliament, public administration, and the army. The two main organisation were the Grand Orient and the Grand Lodge of Italy. They had 25,000 members in 500 or more lodges. Freemasons took on the challenge of mobilizing the press, public opinion and the leading political parties in support of Italy's joining the Allies of the First World War in 1914-1915. Traditionally, they promoted Italian nationalism focused on unification, and undermining the power of the Catholic Church. In 1914-15 they dropped the traditional pacifistic rhetoric and used instead the powerful language of Italian nationalism. Freemasonry had always promoted cosmopolitan universal values, and by 1917 onwards they demanded a League of Nations to promote a new post-war universal order based upon the peaceful coexistence of independent and democratic nations. The status of women in the old guilds and corporations of mediaeval masons remains uncertain. 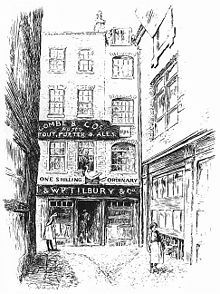 The principle of "femme sole" allowed a widow to continue the trade of her husband, but its application had wide local variations, such as full membership of a trade body or limited trade by deputation or approved members of that body. In masonry, the small available evidence points to the less empowered end of the scale. Maria Deraismes was initiated into Freemasonry in 1882, then resigned to allow her lodge to rejoin their Grand Lodge. Having failed to achieve acceptance from any masonic governing body, she and Georges Martin started a mixed masonic lodge that worked masonic ritual. Annie Besant spread the phenomenon to the English-speaking world. Disagreements over ritual led to the formation of exclusively female bodies of Freemasons in England, which spread to other countries. Meanwhile, the French had re-invented Adoption as an all-female lodge in 1901, only to cast it aside again in 1935. The lodges, however, continued to meet, which gave rise, in 1959, to a body of women practising continental Freemasonry. In 2018 guidance was released by the United Grand Lodge of England stating that, in regard to transgender women, "A Freemason who after initiation ceases to be a man does not cease to be a Freemason". The guidance also states that transgender men are allowed to apply to become Freemasons. Although members of various faiths cite objections, certain Christian denominations have had high-profile negative attitudes to Masonry, banning or discouraging their members from being Freemasons. The denomination with the longest history of objection to Freemasonry is the Catholic Church. The objections raised by the Catholic Church are based on the allegation that Masonry teaches a naturalistic deistic religion which is in conflict with Church doctrine. A number of Papal pronouncements have been issued against Freemasonry. The first was Pope Clement XII's In eminenti apostolatus, 28 April 1738; the most recent was Pope Leo XIII's Ab apostolici, 15 October 1890. The 1917 Code of Canon Law explicitly declared that joining Freemasonry entailed automatic excommunication, and banned books favouring Freemasonry. In 1983, the Church issued a new code of canon law. Unlike its predecessor, the 1983 Code of Canon Law did not explicitly name Masonic orders among the secret societies it condemns. It states: "A person who joins an association which plots against the Church is to be punished with a just penalty; one who promotes or takes office in such an association is to be punished with an interdict." This named omission of Masonic orders caused both Catholics and Freemasons to believe that the ban on Catholics becoming Freemasons may have been lifted, especially after the perceived liberalisation of Vatican II. However, the matter was clarified when Cardinal Joseph Ratzinger (later Pope Benedict XVI), as the Prefect of the Congregation for the Doctrine of the Faith, issued a Declaration on Masonic Associations, which states: "... the Church's negative judgment in regard to Masonic association remains unchanged since their principles have always been considered irreconcilable with the doctrine of the Church and therefore membership in them remains forbidden. The faithful who enrol in Masonic associations are in a state of grave sin and may not receive Holy Communion." For its part, Freemasonry has never objected to Catholics joining their fraternity. Those Grand Lodges in amity with UGLE deny the Church's claims. The UGLE now states that "Freemasonry does not seek to replace a Mason's religion or provide a substitute for it." Since the founding of Freemasonry, many Bishops of the Church of England have been Freemasons, such as Archbishop Geoffrey Fisher. In the past, few members of the Church of England would have seen any incongruity in concurrently adhering to Anglican Christianity and practising Freemasonry. In recent decades, however, reservations about Freemasonry have increased within Anglicanism, perhaps due to the increasing prominence of the evangelical wing of the church. The former Archbishop of Canterbury, Dr Rowan Williams, appeared to harbour some reservations about Masonic ritual, whilst being anxious to avoid causing offence to Freemasons inside and outside the Church of England. In 2003 he felt it necessary to apologise to British Freemasons after he said that their beliefs were incompatible with Christianity and that he had barred the appointment of Freemasons to senior posts in his diocese when he was Bishop of Monmouth. In 1933, the Orthodox Church of Greece officially declared that being a Freemason constitutes an act of apostasy and thus, until he repents, the person involved with Freemasonry cannot partake of the Eucharist. This has been generally affirmed throughout the whole Eastern Orthodox Church. The Orthodox critique of Freemasonry agrees with both the Catholic and Protestant versions: "Freemasonry cannot be at all compatible with Christianity as far as it is a secret organisation, acting and teaching in mystery and secret and deifying rationalism." Christian men, who were discouraged from joining the Freemasons by their Churches or who wanted a more religiocentric society, joined similar fraternal organisations, such as the Knights of Columbus for Catholic Christians, and the Loyal Orange Institution for Protestant Christians, although these fraternal organisations have been "organized in part on the style of and use many symbols of Freemasonry". Many Islamic anti-Masonic arguments are closely tied to both antisemitism and Anti-Zionism, though other criticisms are made such as linking Freemasonry to Al-Masih ad-Dajjal (the false Messiah in Islamic Scripture). Some Muslim anti-Masons argue that Freemasonry promotes the interests of the Jews around the world and that one of its aims is to destroy the Al-Aqsa Mosque in order to rebuild the Temple of Solomon in Jerusalem. In article 28 of its Covenant, Hamas states that Freemasonry, Rotary, and other similar groups "work in the interest of Zionism and according to its instructions ..."
Many countries with a majority Muslim population do not allow Masonic establishments within their borders. However, countries such as Turkey and Morocco have established Grand Lodges, while in countries such as Malaysia and Lebanon there are District Grand Lodges operating under a warrant from an established Grand Lodge. In 1799, English Freemasonry almost came to a halt due to Parliamentary proclamation. In the wake of the French Revolution, the Unlawful Societies Act banned any meetings of groups that required their members to take an oath or obligation. The Grand Masters of both the Moderns and the Antients Grand Lodges called on Prime Minister William Pitt (who was not a Freemason) and explained to him that Freemasonry was a supporter of the law and lawfully constituted authority and was much involved in charitable work. As a result, Freemasonry was specifically exempted from the terms of the Act, provided that each private lodge's Secretary placed with the local "Clerk of the Peace" a list of the members of his lodge once a year. This continued until 1967, when the obligation of the provision was rescinded by Parliament. Freemasonry in the United States faced political pressure following the 1826 kidnapping of William Morgan by Freemasons and his subsequent disappearance. Reports of the "Morgan Affair", together with opposition to Jacksonian democracy (Andrew Jackson was a prominent Mason), helped fuel an Anti-Masonic movement. The short-lived Anti-Masonic Party was formed, which fielded candidates for the presidential elections of 1828 and 1832. Even in modern democracies, Freemasonry is sometimes viewed with distrust. In the UK, Masons working in the justice system, such as judges and police officers, were from 1999 to 2009 required to disclose their membership. While a parliamentary inquiry found that there has been no evidence of wrongdoing, the government believed that Masons' potential loyalties to support fellow Masons, should be transparent to the public. The policy of requiring a declaration of masonic membership by applicants for judicial office (judges and magistrates) was ended in 2009 by Justice Secretary Jack Straw (who had initiated the requirement in the 1990s). Straw stated that the rule was considered disproportionate, since no impropriety or malpractice had been shown as a result of judges being Freemasons. Freemasonry is both successful and controversial in France. As of the early 21st century, membership is rising, but reporting in the popular media is often negative. In some countries anti-Masonry is often related to antisemitism and anti-Zionism. For example, in 1980 the Iraqi legal and penal code was changed by Saddam Hussein's ruling Ba'ath Party, making it a felony to "promote or acclaim Zionist principles, including Freemasonry, or who associate [themselves] with Zionist organisations". Professor Andrew Prescott of the University of Sheffield writes: "Since at least the time of the Protocols of the Elders of Zion, antisemitism has gone hand in hand with anti-masonry, so it is not surprising that allegations that 11 September was a Zionist plot have been accompanied by suggestions that the attacks were inspired by a masonic world order". The preserved records of the Reichssicherheitshauptamt (the Reich Security Main Office) show the persecution of Freemasons during the Holocaust. 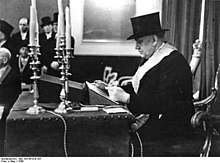 RSHA Amt VII (Written Records) was overseen by Professor Franz Six and was responsible for "ideological" tasks, by which was meant the creation of antisemitic and anti-Masonic propaganda. While the number of victims is not accurately known, historians estimate that between 80,000 and 200,000 Freemasons were killed under the Nazi regime. Masonic concentration camp inmates were classified as political prisoners and wore an inverted red triangle. Hitler believed Freemasons had succumbed to Jews conspiring against Germany. After World War II, the forget-me-not flower was used again as a Masonic emblem in 1948 at the first Annual Convention of the United Grand Lodges of Germany in 1948. The badge is now worn in the coat lapel by Freemasons around the world to remember all who suffered in the name of Freemasonry, especially those during the Nazi era. ^ "What is Freemasonry". www.chevalierramsay.be. Retrieved 14 June 2017. ^ Campbell, Donald G.; Committee on Ritual. "The Master Mason; Irregular and Clandestine Lodges". Handbook for Candidate's Coaches (excerpt). Grand Lodge F.&A.M. of California. Retrieved 8 May 2007. ^ UGLE Book of Constitutions, "Basic Principles for Grand Lodge Recognition", any year since 1930, page numbers may vary. ^ John Yarker (1909). The Arcane Schools. Manchester. pp. 341–342. ^ Stevenson, David (1988). The Origins of Freemasonry. Cambridge University Press. pp. 38–44. ISBN 0521396549. ^ Dafoe, Stephen. "Rosicrucians and Freemasonry | Masonic Dictionary | www.masonicdictionary.com". www.masonicdictionary.com. Retrieved 14 June 2017. ^ Hall, Manly P. (2010). The Secret Teachings of All Ages: An Encyclopedic Outline of Masonic, Hermetic, Qabbalistic and Rosicrucian Symbolical Philosophy. Courier Corporation. ISBN 9780486471433. ^ "History of Freemasonry timeline". United Grand Lodge of England. Retrieved 12 June 2018. ^ S. Brent Morris (2006). The Complete Idiot's Guide to Freemasonry. Alpha/Penguin Books. p. 27. ISBN 1-59257-490-4. ^ Bullock, Steven C.; Institute of Early American History and Culture (Williamsburg, Va.) (1996). Revolutionary brotherhood: Freemasonry and the transformation of the American social order, 1730–1840. Chapel Hill: University of North Carolina Press. ISBN 978-0-8078-4750-3. OCLC 33334015. ^ a b Handbook of Jamaica. Google Books: Jamaica Government. 1908. p. 449. ^ Handbook of Jamaica. Google Books: Jamaica Government. 1908. p. 33. ^ a b "Charting The History Of Freemasons In Jamaica". Jamaica Gleaner Newspaper. 10 December 2017. ^ "English Freemasons To Celebrate Their 300th Year In Jamaica". Jamaica Gleaner Newspaper. 18 April 2017. ^ Johnson, Lawrence (1996). "Who is Prince Hall? And other well known Prince Hall Masons". Archived from the original on 2 June 2007. Retrieved 14 November 2005. ^ Bessel, Paul M. "Prince Hall Masonry Recognition details: Historical Maps". Retrieved 14 November 2005. ^ Fulvio Conti, "From Universalism to Nationalism: Italian Freemasonry and the Great War." Journal of Modern Italian Studies 20.5 (2015): 640-662. ^ Anderson, James (1734) . Paul Royster (ed.). The Constitutions of the Free-Masons (Philadelphia ed.). Philadelphia, Pennsylvania: Benjamin Franklin. p. 49. Retrieved 12 August 2013. The Persons admitted Members of a Lodge must be good and true Men, free-born, and of mature and discreet Age, no Bondmen, no Women, no immoral or scandalous Men, but of good Report. ^ a b Damien Gayle (2018). "Freemasons to admit women – but only if they first joined as men | UK news". The Guardian. Retrieved 1 August 2018. ^ "Antimasonry – Definition of Antimasonry by Webster Dictionary". Webster-dictionary.net. Retrieved 8 September 2011. ^ Morris, S. Brent (2006). The Complete Idiot's Guide to Freemasonry. New York: Alpha Books. pp. 85 (also discussed in chapters 13 and 16). ISBN 978-1-59257-490-2. OCLC 68042376. ^ Robinson, John J. (1993). A Pilgrim's Path. New York: M. Evans. p. 129. ISBN 978-0-87131-732-2. OCLC 27381296. ^ de Hoyos, Arturo; S. Brent Morris (18 August 2002). "Leo Taxil Hoax — Bibliography". Grand Lodge of British Columbia and Yukon. Retrieved 7 July 2007. Lists many books which perpetuate Masonic ritual hoaxes. ^ Morris, S. Brent; The Complete Idiot's Guide to Freemasonry, Alpha books, 2006, p,204. ^ Cardinal Law, Bernard (19 April 1985). "Letter of 19 April 1985 to U.S. Bishops Concerning Masonry". CatholicCulture.org. Retrieved 9 July 2007. ^ Canon 2335, 1917 Code of Canon Law from "Canon Law regarding Freemasonry, 1917–1983". Grand Lodge of British Columbia and Yukon. ^ McInvale, Reid (1991). "Roman Catholic Church Law Regarding Freemasonry". Transactions of Texas Lodge of Research. 27: 86–97. OCLC 47204246. ^ Jack Chick. "The Curse of Baphomet". Retrieved 29 September 2007. ^ Arturo de Hoyos and S. Brent Morris (2004). Is it True What They Say About Freemasonry, 2nd edition (revised), chapter 1. M. Evans & Company. Archived from the original on 2 December 2013. ^ Snyder, Howard (2006). Populist Saints. Grand Rapids, Michigan: William B. Eerdmans Publishing Company. p. 727. ^ Beresiner, Yasha (July 2006). "Archbishop Fisher – A Godly man and a Brother". Masonic Quarterly Magazine (18). Retrieved 7 May 2007. ^ Hastings, Chris; Elizabeth Day (20 April 2003). "Rowan Williams apologises to Freemasons". The Daily Telegraph. Archived from the original on 23 November 2007. Retrieved 9 July 2007. ^ "Freemasonry: Official Statement of the Church of Greece (1933)". Orthodoxinfo.com. 12 October 1933. Retrieved 15 January 2011. ^ "Freemasonry and Religion" (PDF). United Grand Lodge of England. Retrieved 2 November 2013. ^ a b Jeffers, H. Paul (2005). Freemasons: A History and Exploration of the World's Oldest Secret Society. Citadel Press. p. 110. ISBN 9780806526621. Founded by Michael J. McGivney, a New Haven, Connecticut, parish priest, the Knights of Columbus paralleled the structure of Freemasonry with ritual, degrees, passwords, and the motto "Charity, Unity, Fraternity, and Patriotism." ^ a b Fields, Rona M. (1 January 1980). Northern Ireland: Society Under Siege. Transaction Publishers. p. 113. ISBN 9781412845090. ^ a b c Sands, David R (1 July 2004). "Saddam to be formally charged". The Washington Times. Retrieved 18 June 2006. ^ Prescott, Andrew. The Study of Freemasonry as a New Academic Discipline. pp. 13–14. Retrieved 18 December 2008. ^ "Hamas Covenant 1988". Avalon.law.yale.edu. 18 August 1988. Retrieved 15 January 2011. ^ Leyiktez, Celil. "Freemasonry in the Islamic World", Pietre-Stones Retrieved 2 October 2007. ^ "Mystery unveiled". The Star Online. 17 April 2005. Retrieved 13 February 2014. ^ King, Edward L. (2007). "P2 Lodge". Retrieved 31 October 2006. ^ Wilkenson, James; H. Stuart Hughes (1995). Contemporary Europe: A History. Englewood Cliffs, NJ: Prentice Hall. p. 237. ISBN 978-0-13-291840-4. OCLC 31009810. ^ Zierer, Otto (1976). Concise History of Great Nations: History of Germany. New York: Leon Amiel Publisher. p. 104. ISBN 978-0-8148-0673-9. OCLC 3250405. ^ a b c Hodapp, Christopher. Freemasons for Dummies. Indianapolis: Wiley, 2005. p. 86. ^ Sparrow, Andrew (5 November 2009). "Jack Straw scraps rule saying judges must declare if they are masons". guardian.co.uk. Retrieved 7 November 2009. ^ Prescott, pp. 13–14, 30, 33. ^ "World War II Documents showing the persecution of Freemasonry". Mill Valley Lodge #356. Archived from the original on 10 December 2012. Retrieved 21 May 2006. ^ Freemasons for Dummies, by Christopher Hodapp, Wiley Publishing Inc., Indianapolis, 2005, p. 85, sec. "Hitler and the Nazi"
^ Katz. "Jews and Freemasons in Europe". In Israel Gutman (ed.). The Encyclopedia of the Holocaust. p. vol. 2, p. 531. ISBN 978-0-02-897166-7. OCLC 20594356. ^ McKeown, Trevor W. "Hitler and Freemasonry". ^ "Das Vergißmeinnicht-Abzeichen und die Freimaurerei, Die wahre Geschichte" (in German). Internetloge.de. Retrieved 8 July 2006. ^ Bernheim, Alain (10 September 2004). "The Blue Forget-Me-Not: Another Side Of The Story". Pietre-Stones Review of Freemasonry. Retrieved 8 July 2006. ^ Francke, Karl Heinz; Ernst-Günther Geppert (1974). Die Freimaurer-Logen Deutschlands und deren Grosslogen 1737–1972 (in German) (Second rev. ed.). Bayreuth: Quatuor Coronati. Also in: Francke, Karl Heinz; Ernst-Günther Geppert (1988). Die Freimaurer-Logen Deutschlands und deren Grosslogen 1737 – 1985 : Matrikel und Stammbuch; Nachschlagewerk über 248 Jahre Geschichte der Freimaurerei in Deutschland (in German). Bayreuth: Quatuor Coronati. ISBN 978-3-925749-05-6. OCLC 75446479. ^ "The Story Behind Forget Me Not Emblem!". Masonic Network. 11 December 2009. "Freemasonry" . Encyclopædia Britannica (11th ed.). 1911.